Micro Sprayer Set 26452390 https://www.kaercher.com/ie/home-garden/watering-systems/kaercher-rain-system-tm/micro-sprayer-set-26452390.html The nozzle kit contains various spray, sealing and drip collars for affixing to the Kärcher Rain System™ for individual expansion of the efficient watering system. 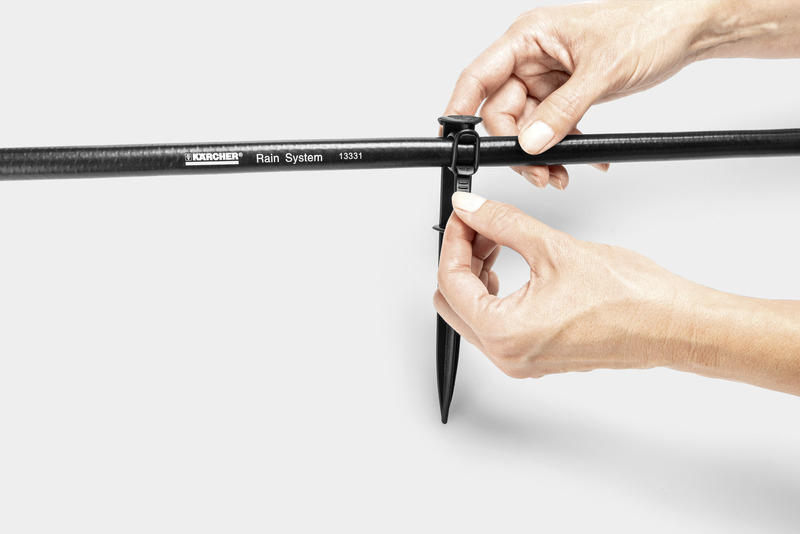 The nozzle kit contains various spray, sealing and drip collars for affixing to the Kärcher Rain System™ for individual expansion of the efficient watering system. 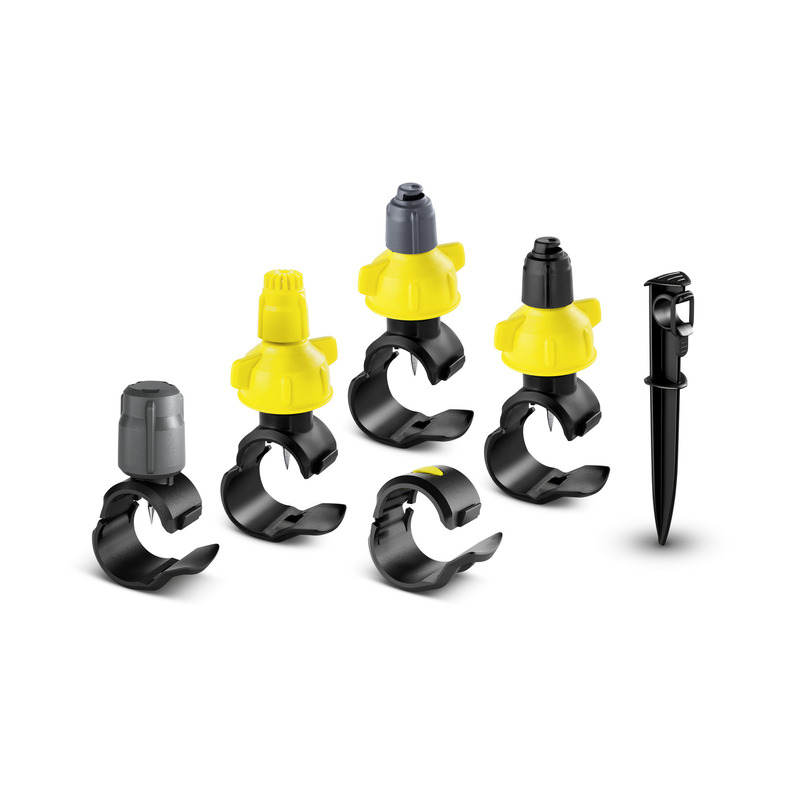 The nozzle kit is an expansion kit for the Kärcher Rain System™ and contains 5 drip collars, 10 sealing and spray collars (4x 90°; 4x 180°; 2x 360°) and 5 ground spikes. 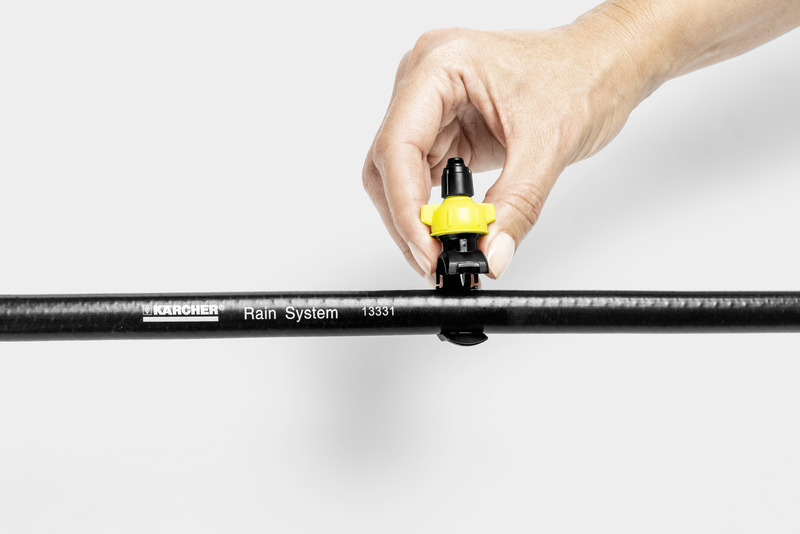 The drip and spray collars can be affixed at any point on the Kärcher Rain System™ hose. Installation of the collars is fast, easy and does not require any tools. The integrated needle on the opened collar is simply stuck into the hose. Closing the collar fixes it securely to the hose. The water volume of the drip collar can be adjusted as required (0-10 l/h). The alignment of the spray angle can be adjusted horizontally and vertically thanks to the rotatable spray collar head. On the nozzle, the water volume can be adjusted from 0 - 55 l/h in order to save money and resources. Unnecessary hose holes can be resealed securely with the sealing collars. 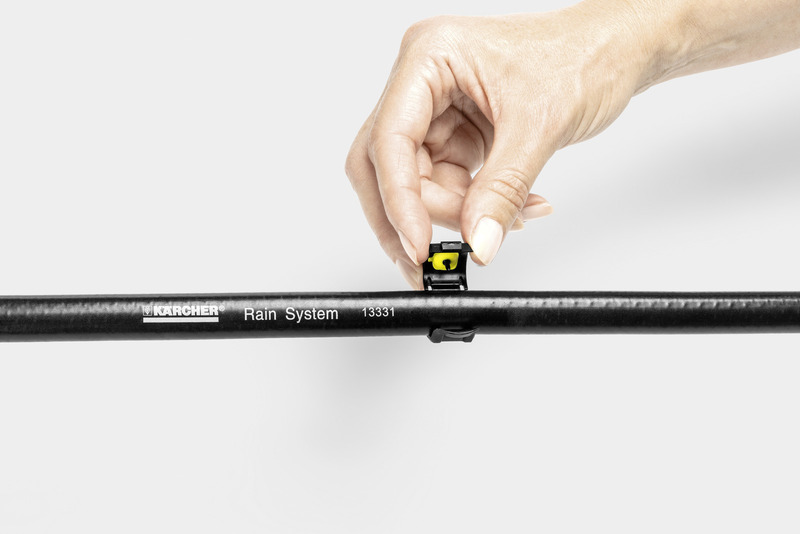 The Kärcher Rain System™ works with max. 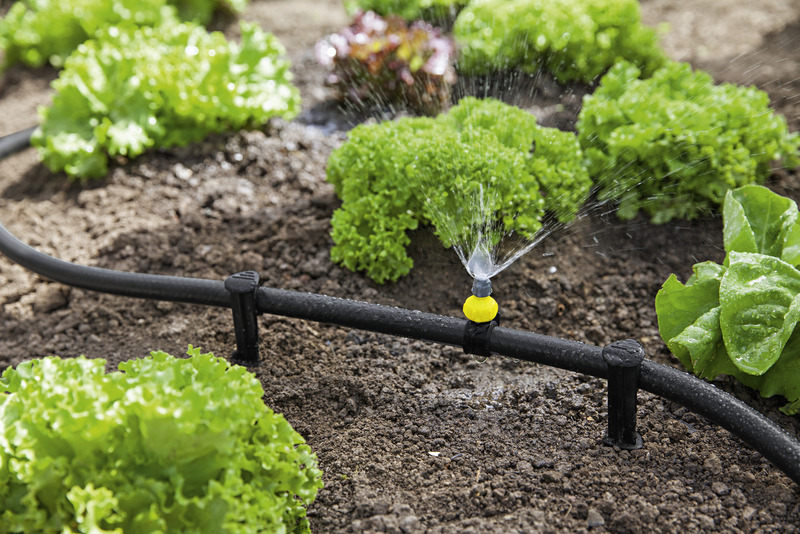 4 bar, combines the advantagesof micro-dipping and conventional watering and can be individually adapted to almost any garden. Micro Sprayer Set is rated 5.0 out of 5 by 1.